Martins Beach, three miles south of Half Moon Bay, was once a hidden gem of the San Mateo County coastline, known to just a handful of local surfers and people who rented cottages along the shore. Those days are over. The small beach has become ground zero for a protracted legal battle between locals and one Silicon Valley billionaire who would like to keep the public out. For locals, "a little Yosemite"
Even on a windy gray day, Martins Beach is perfect. About a quarter mile long, the beach is hidden from Highway 1, accessible by a winding road that passes through a small community of modest beach houses. At the south end of the beach, cliffs jut up from the ocean; at the north, waves crash against a massive rock formation shaped like a shark fin. “I think John Muir would roll over in his grave if he thought we'd be losing access to this completely unique spot,” says Mike Wallace, who coaches the surf team at the local high school. His daughter caught her first wave off of Martins Beach. “For a lot of us, it feels like a little Yosemite of the coast,” Wallace says. But the heart of the battle is not on this beach, lovely as it may be. All California beaches are public -- that is, from the ocean up to the high water line. The real heart of the battle is the road that leads to the beach. Because other than a boat, there is only one way to get here: the road. 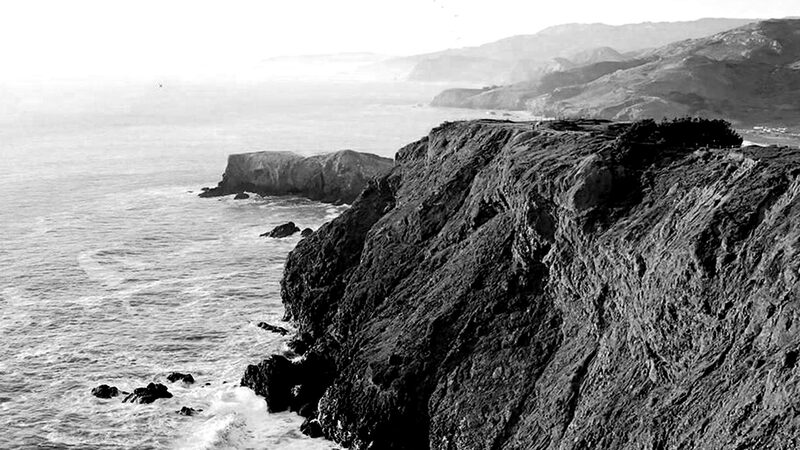 The turn from Highway 1 can be hard to find. 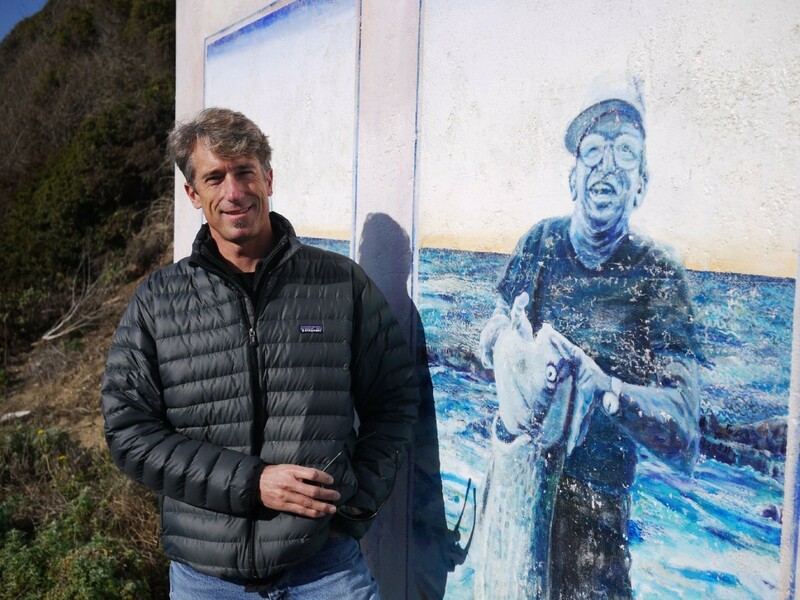 A large sign that once beckoned visitors to Martins Beach is now painted black. This particularly galls Wallace. Initially, Wallace and other regulars weren’t sure who the new owners were. The legal documents cited an LLC called, simply, Martins Beach. But eventually, they figured it out. 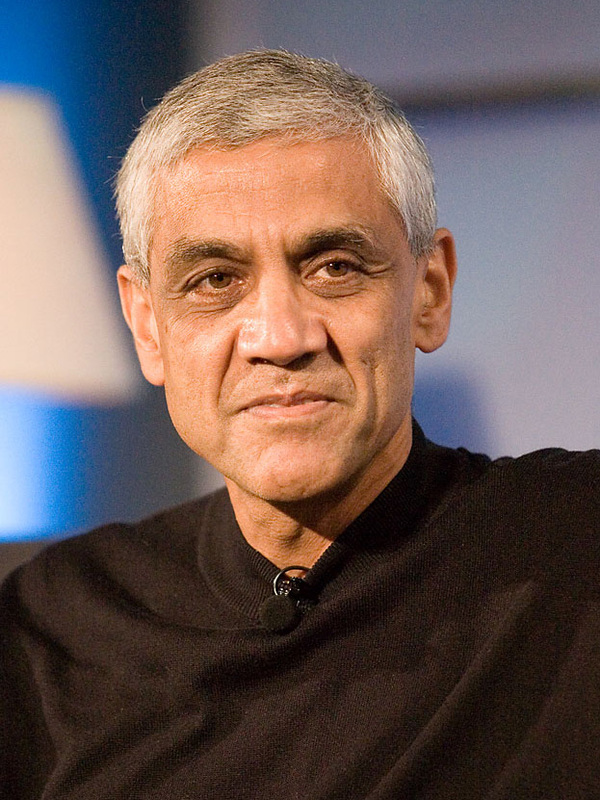 The new owner of Martins Beach was Vinod Khosla, the Silicon Valley billionaire investor best known for his investments in clean tech. Part of what's gotten this case so much press is that Khosla isn’t the type of person you'd expect to find in a show-down with environmentalists, such as Mark Massara, a long-time surfer and attorney on one of four lawsuits filed so far over Martins Beach. “Even for billionaires with a solid track record of conservation efforts, taking coastal property and trying to privatize it... people are generally not willing to allow that to happen,” says Massara. 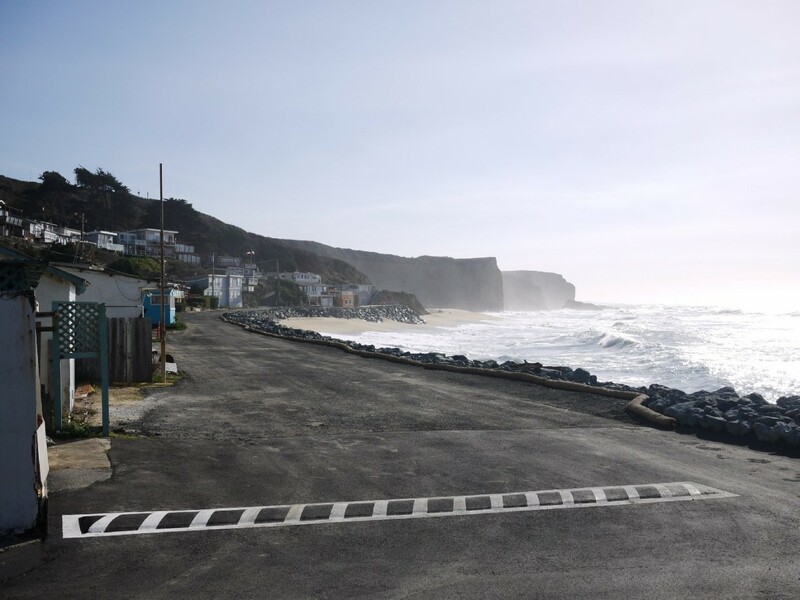 Massara and others argue that the road to Martins Beach has been used by the public for decades. The previous owners, the Deeney family, charged a $10 fee to people who wanted to park their cars there. There are public bathrooms at the beach and a café, now closed. There is, in other words, a longtime precedent of public access at Martins Beach, says Massara, even though the property does not contain an easement requiring public access on the road. The courts haven’t always agreed. In October, a county judge ruled that Khosla can keep the public from walking or driving to the beach. Because the beach contained no easement when it was acquired through a 19th-century Mexican land grant, San Mateo County Superior Court Judge Gerald Buchwald ruled, the property is not subject to the state’s constitutional laws regarding public access. Massara says that precedent could imperil public access up and down California’s coast. That decision is likely to be appealed. Meanwhile, Massara, along with the Surfrider Foundation, has filed another lawsuit, which may go to court this spring. The Surfrider suit contends that Khosla is required to seek permits from the California Coastal Commission for any improvements to the property. That includes several recent changes: the gate at the top of the road, road maintenance and an emergency seawall constructed on the beach this winter. 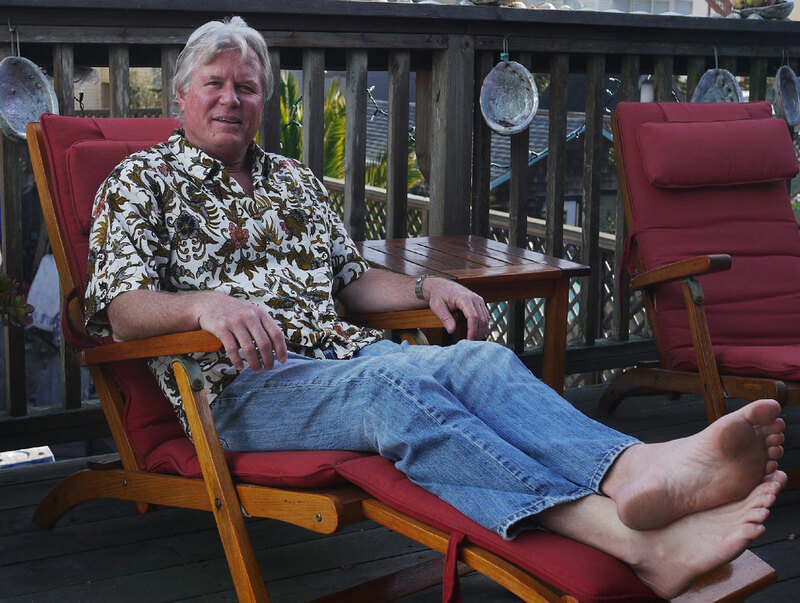 This seemingly dull and technical point – building permits – may turn out to be the true arena for the Martins Beach battle, particularly if the investor plans to remove the cottages when their leases expire in 2021 and build a private residence. Think of it as a David-and-Goliath battle waged entirely in paperwork, between a billionaire and the chronically-unfunded agency in charge of issuing these permits, the California Coastal Commission. We couldn’t get a comment from Khosla for this story. His office in Menlo Park forwarded our request to his lawyers, who declined to answer questions. For their part, staff members at the Coastal Commission say they’ve tried to negotiate with the owner from the start. “We asked them if they wanted to resolve it. 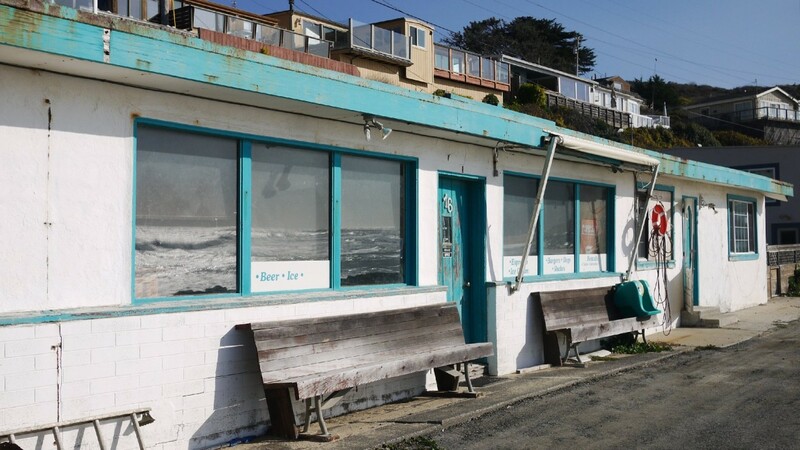 In fact, we met with the owner’s attorneys,” says Nancy Cave, a district manager for the North Central Division of the California Coastal Commission, which has fought to establish public access to California beaches since its founding in 1972. "They showed no interest in resolving. They only wanted to litigate." Nancy Cave and her staff want to keep Martins Beach open to the public. Khosla will need permits from the Commission if he wants to do almost anything on the property. So, Cave thought, maybe they could strike a deal. She was wrong. In two separate lawsuits, Khosla’s attorneys have argued that developing the property will not require permits from the Coastal Commission. Both suits have been dismissed, the second by Khosla’s attorneys themselves. Massara believes this drawn-out litigation plays to Khosla’s strength: a personal fortune that far exceeds the Commission’s annual budget of $16 million. Commission staff members say they’re well used to taking on affluent land owners, most famously, David Geffen, who tried (and failed) to keep the public from accessing a path near his Malibu Beach estate. Talking to Cave and her colleagues, you get the sense they’re steeling themselves for a drawn-out fight. “We’re pretty used to litigating against deep pockets,” says Alex Helperin, senior staff counsel for the Coastal Commission. “We’ve been in litigation with a lot of wealthy adversaries,” he says. 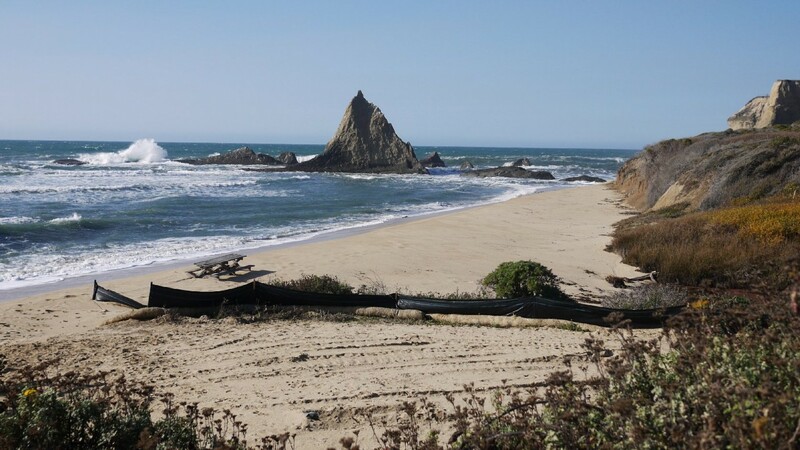 The first of the permits on the Martins Beach property -- for an emergency seawall built recently to prevent erosion – is due this month.